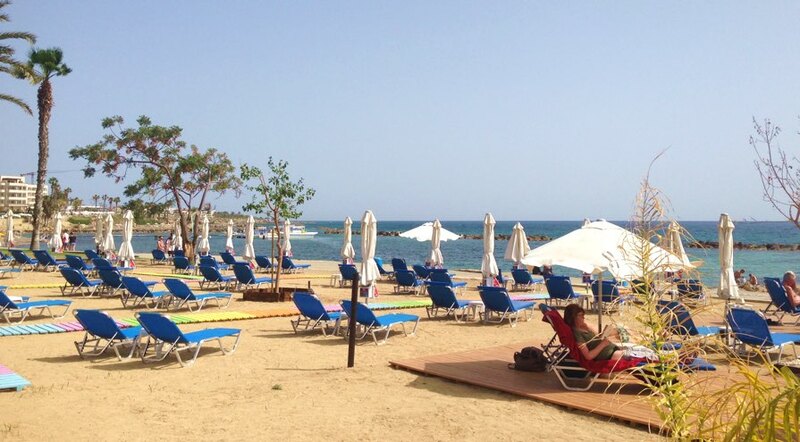 Located in the western part of Cyprus, the coastal city of Paphos is one of its kind. Of high historical and archaeological importance, it is included in UNESCO’s list of cultural and natural treasures of the world heritage. The myth of Aphrodite, the Greek goddess of love who was born here, the stories of kings and queens who lived in Paphos, have left their marks in this small city. There are so many places to visit and so many myths to discover while you are here, but that’s not all there is to it. The beautiful beaches, the amazing surrounding nature, the promenade that leads to the harbour and the castle, the picturesque villages of the district, make Paphos a lovely all year round destination for families, couples and people who want to enjoy the beauty of the Mediterranean. On your way to Paphos, your first stop will be at ‘Petra tou Romiou’, also known as Aphrodite’s Rock. According to the legend, it is here where Aphrodite, the goddess of love was born, emerging from the sea. Nearby, in Kouklia village, where the ancient city of Pafos was built, it is worth visiting the ruins of the Temple of Aphrodite and the local museum. In Paphos, head to the beautiful Castle in the old harbour. Originally built as a fortress, it was rebuilt in the 13th century by the Lusignans. A few metres away, you will see the entrance to the Archaeological Park of Kato Paphos. This magnificent place is a UNESCO heritage site and it includes sites and monuments from the prehistoric times to the Middle Ages and the Roman period. Most importantly, you will see some stunning mosaics. Inside the House of Dionysus and in the four other Roman villas, there are some exquisite and very well preserved mosaics. Furthermore, inside the park, there is also the Odeon, the Agora, the ‘Saranta Kolones (Forty columns), the ‘Limeniotissa’ Ruins of early Christian Basilica and the Asklipeion. A bit further away, it is worth visiting the ‘Tombs of the Kings’ site where around 4th century BC high officials used to be buried. Lastly, do not miss the St. Solomon’s Church, originally built as a Christian catacomb, the Ayia Kyriaki Chrysopolitssa church built in the 13th century and next to it the St. Paul’s Pillar and the Saint Neophytos Monastery, 10 km outside Paphos, founded by Saint Neophytos. There are so many things you can do in Paphos. Apart from sightseeing and visiting the temples, the archaeological sites, the lovely churches and the museums, one of the best memories you will have from Paphos, is when you rent a 4X4 jeep and a driver takes you to Akamas. About 40 km away from the city, Akamas is Cyprus’ National Park. The nature here is beautiful. Walk in Avakas gorge, swim in Lara beach where the Caretta Caretta turtles and the Green ones come here to hatch their eggs, dip into the amazing crystal waters of the Blue Lagoon, and be amazed by the flora of the Cyprus countryside. When you exit Akamas, also visit Aphrodite’s Baths. On the other hand, if you are into sports there are many activities you can do in Paphos. From water sports in the various organised beaches of the district to golf in one of the very good four golf clubs located in various locations. Furthermore, some of Cyprus’ best cycling routes are found in Paphos, more than 185 to be exact. And this is one of the best ways to discover this amazing district. If you want to do that on foot, take one of the many hiking trails such as the beautiful Aphrodite Trail and revisit the places where many of the myths and stories took place. Finally, if you are a wine lover, note that there are three wine routes in Paphos area that you can follow and visit some of the wineries that produce excellent wine. There are some beautiful beaches in Paphos. Unlike Protaras and Ayia Napa, where the water is turquoise and the sand is golden, here the water has a sparkling blue colour with shades of turquoise and the colour of the sand is darker.Around the city of Paphos there are around 27 beaches, and 12 of them are blue flag awarded ones. The most popular beach is Coral Bay, some kilometres away from the city centre. A beautiful bay with a long stretch of beach, umbrellas and sunbeds for rent, water sport facilities and a big beach bar. In the city, visit the blue flag Municipal Baths beach, in the heart of the tourist Kato Paphos area, Alykes,Vrysoudia Beach A and B, three sandy beaches near the hotels and off the main Poseidonos Avenue, Pachyammos Bay in front the hotels in Kato Paphos and Faros at the west end of Paphos. There is also Geroskipou Municipal Beach, at the nearby small town of Geroskipou. All of those beaches are fully organised with sunbeds and umbrellas for rent, beach bars, lifeguards and water sports facilities. 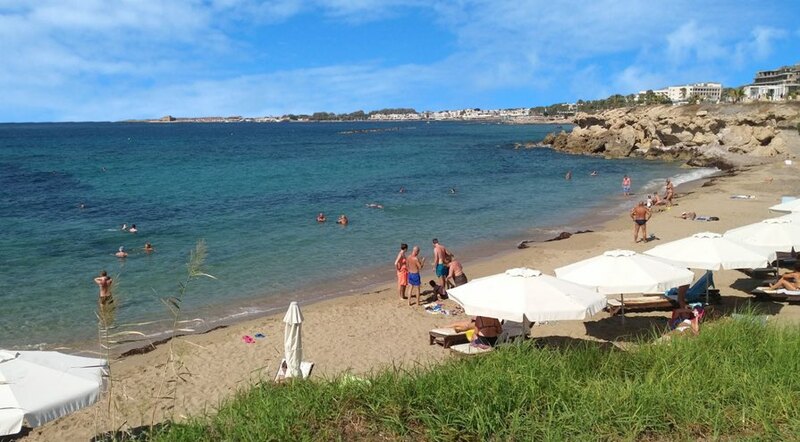 Outside Paphos, in Pegeia village, you can spend your day at the sandy Laourou Beach and if you drive 40 minutes more, you will end up in the town of Latsi, next to Akamas where there are also quite a few lovely beaches. The food scene in Paphos is quite interesting. Among the many restaurants in pubs in the tourist areas in Kato Paphos and in Coral Bay, there are a few worth visiting. From Asian, Italian, Persian to Mediterrean, there is something for everybody. Walking towards the Castle and opposite the old harbour there is a line of fish restaurants serving fish, seafood and the catch of the day. A bit further up, near the old town there are some very interesting options. Local taverns serving kebab, sieftalia and Cyprus mezze, wine bars and bistros. Furthermore, around the Tombs of the Kings area, there are also plenty of eateries, pubs and of course, fish restaurants. If you are staying in the Coral Bay you can check out some of the local restaurants serving various cuisines. Note, that inside the hotels along Poseidonos Avenue, there are some really good restaurants, open to the public and worth checking out. However if you fancy tasting delicious Cypriot food served in local taverns and discover gourmet surprises, you should drive to the nearby villages. Paphos is not Ayia Napa. There is not a big party scene here. However, along Ayios Antonios Street in Kato Paphos, there are plenty of bars, pubs and dance clubs playing from pop music to R ‘n’ B’. 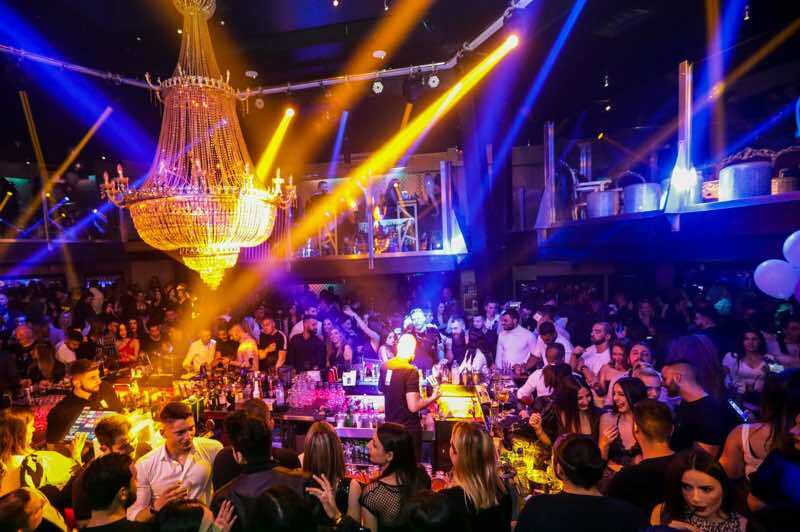 In the old Paphos area, some new interesting spots have opened in the past few years that are worth a visit or rather, a drink! In the Tombs of the Kings Avenue and in the Coral Bay area, there are also some bars and pubs with live shows and karaoke. During the summer, the locals and the visitors, hang out also at the open air bars and clubs near the seaside, a few metres away from the beach.